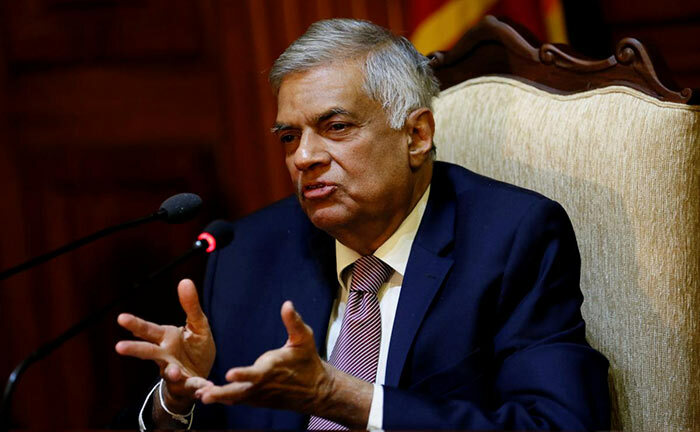 Prime Minister Ranil Wickremesinghe has appointed a three-member committee of ministers to examine ways of expediting cases on corruption and fraud, the PM’s Office said. The committee is comprised of Minister of Health Dr Rajitha Senaratne, Minister of Prisons Reforms and Rehabilitation D.M. Swaminathan and State Minister of Prison Reforms and Rehabilitation Ajith P. Perera while the Secretary to the Ministry of Law and Order will serve as the secretary to the committee. The decision was taken during a special discussion held at Temple Trees this morning (26) with the participation of the Secretary to the Ministry of Law and Order, the Inspector General of Police (IGP) and senior police officers. During the meeting, attention was also drawn towards the report provided by the former Minister of Law and Order Sagala Ratnayake regarding action taken to eradicate corruption and fraud, the statement said. PM Wickremesinghe was appointed as the new Minister of Law and Order, during Sunday’s Cabinet reshuffle. The statement also said that a committee chaired by the PM and comprised of ministers Thalatha Athukorale and Sagala Ratnayake have been appointed to coordinate activities with regard to establishing a University for Criminal Justice. Another committee was appointed comprising of ministers, Tilak Marapana, Ranjith Maddumabandara and Sagala Ratnayake to expedite affairs regarding the appeals relating to political revenge within the police department. Secretary to the Finance Ministry Dr. R H S Samaratunga, Secretary to the Law and Order Ministry Padmasiri Jayamanna, IGP Pujitha Jayasundara, Commanding Officer of STF DIG M.R. Latheef, Senior DIG- CID Ravi Seneviratne, Senior DIG- FCID Ravi Waidyalankara, Senior DIG Chandana Wickramaratne and other high-ranking officers attended the discussion. How many committees this guy has appointed so far? Nothing seems to work. Sri Lanka with out corruption and fraud out hard to imagine.